The Scandinavian design was first introduced in the 1930’s and by the 70’s it was already famous. It is mostly focused on the interior, so what you’ll notice about it is that Scandinavian design is all about simplicity and functionality. It gives a feeling of clean and minimalist atmosphere, while it aims to use natural materials. 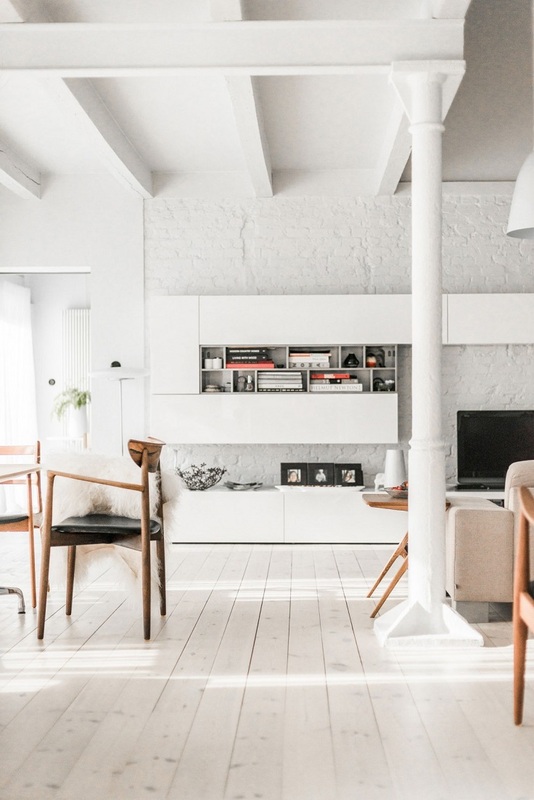 If you are renovating or buying a house or apartment, it will be easier to go after Scandinavian design because you start from the beginning. But, if you’re not able to start fresh, the first thing you need to do is declutter. The rest follows below, so keep on reading and get some inspiration from the beautiful Scandinavian design shown on the pictures. 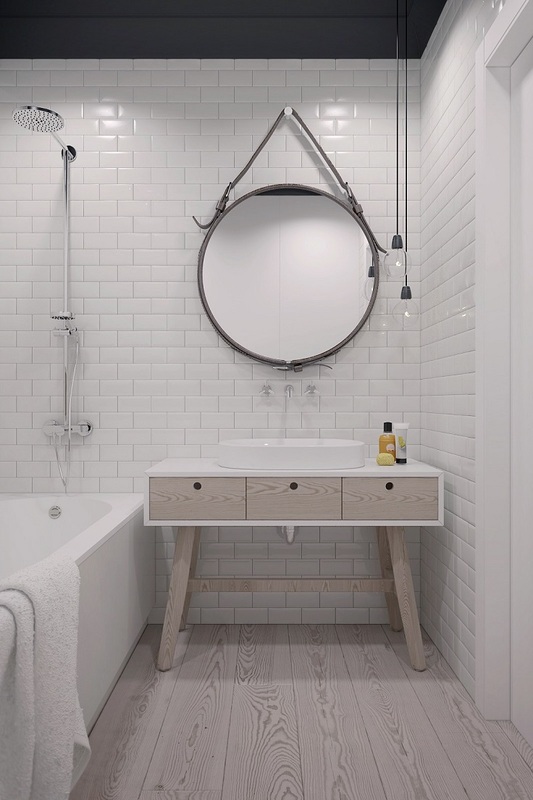 Scandinavian design is all about using natural materials, which results with using wood when it comes to the floor. If you look at images presenting this design, you can notice that most of the time the floor is light. Also, having carpets from wall to wall isn’t quite common. 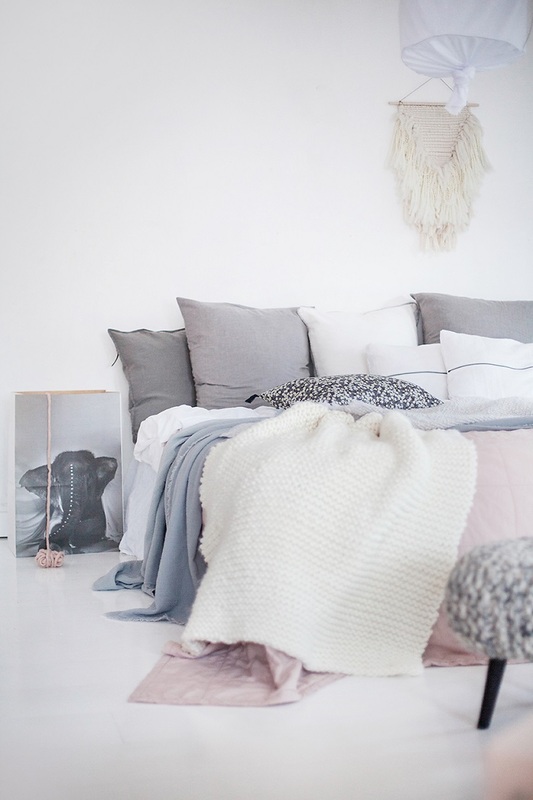 If you want to have one, keep it smaller and of course, go after neutral, lighter colors. But, if you want something more colorful and bold, make sure that the rest of the room is according to the rules of the Scandinavian design. This is one of the most important matters when it comes to Scandinavian design. You will never see too many colors or too bold colors in this interior design. 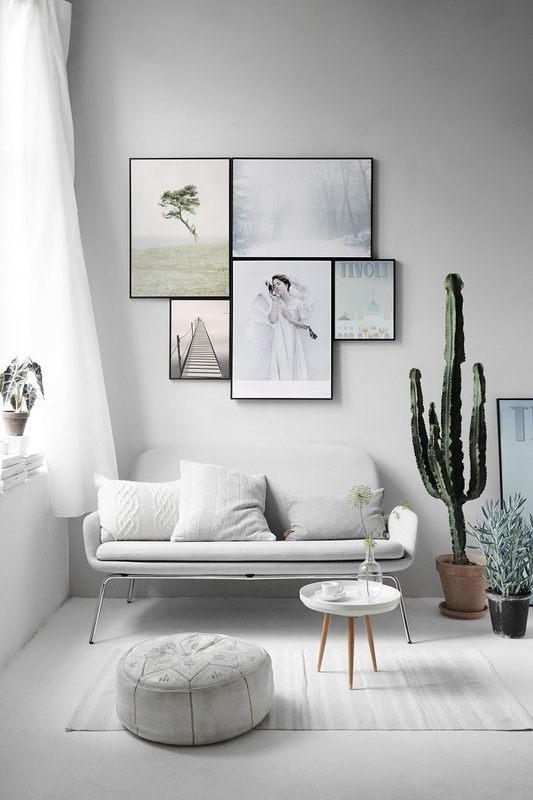 It’s all about natural and neutral colors, so keeping things white, light and pastel is the absolute idea – starting from furniture to small details like pillows. Bright colors open up the space and give away the impression of clean and calm space. Most of the time all walls are painted in white, but if you want to add some color you can try baby blue or baby pink. If you want to try a more colorful option, try painting just one wall or so – same goes for wallpapers. Like it or not, but art plays important role here. No matter if it’s a huge painting or just a small framed picture, having it is crucial. It looks amazing and it is such a great way to decorate any room. Scandinavian design means clean and clear lines, so playing with symmetry is always a good idea. You can also try arranging art as shown on the picture. Having black frames will also add a nice contrast to the already light walls. 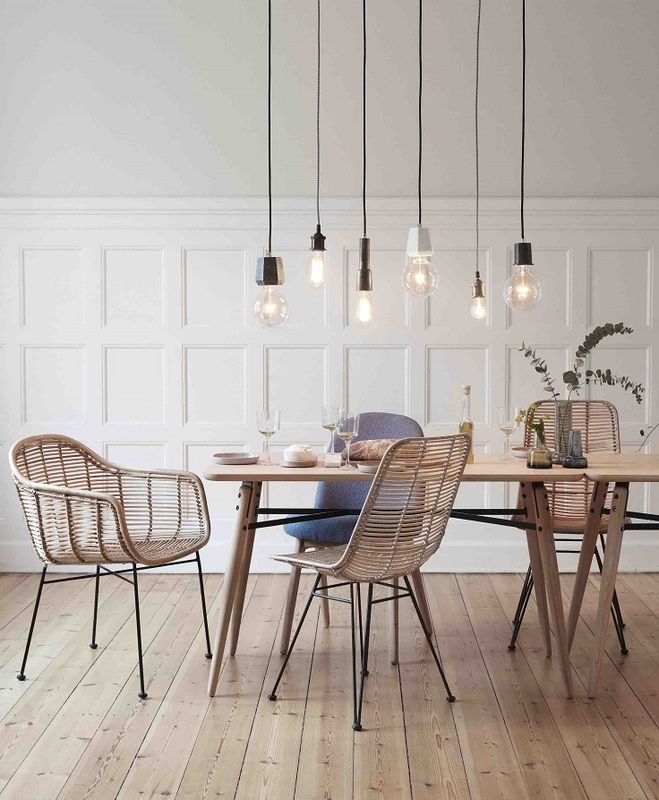 When it comes to Scandinavian design, everything is clear and it has its own shape and structure. That’s why you can easily notice circles and squares. It’s easy to try this with your home interior. For example, you can purchase a bathroom mirror in the shape of a circle or purchase a dining table in the shape of a rectangle. 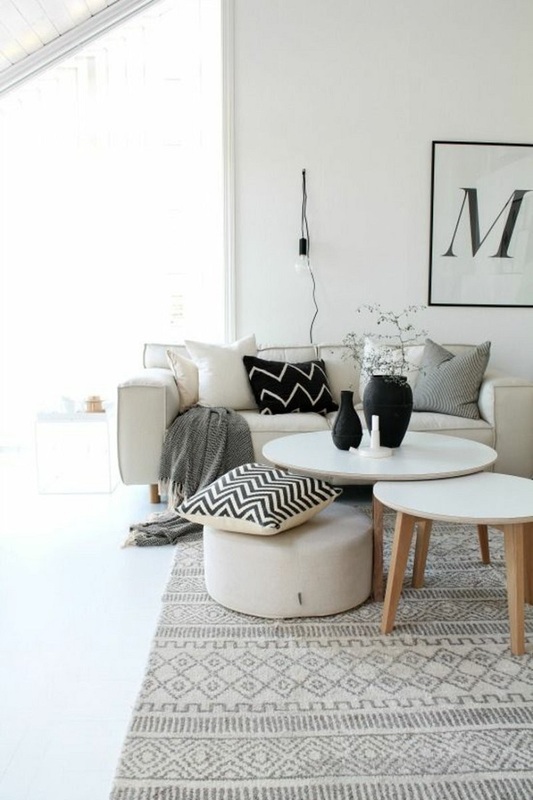 When it comes to geometric shapes, the choice you have for home interior are endless, especially because there are so many shops selling Scandinavian design pieces. The furniture is not an exception and is something that you should pay attention as well. It doesn’t have to be big and it can be a smaller piece of furniture as pictured, but it has two be two things: light and comfortable. Don’t forget that one of the aims of this design is to come up with functional and livable way of interior. It’s often to have one piece of furniture that will stand out from the clear lines, for example an interesting armchair or just a regular chair with an “unclear” strict shape. How are you going to light your room is an important question as well. Chandeliers, ceiling fans and wall sconces aren’t really recommended, but instead of them go for simple hanging pendants, such as the one on the picture. It is just a light bulb, but it can make a change in the interior. You can also use desk lamps. 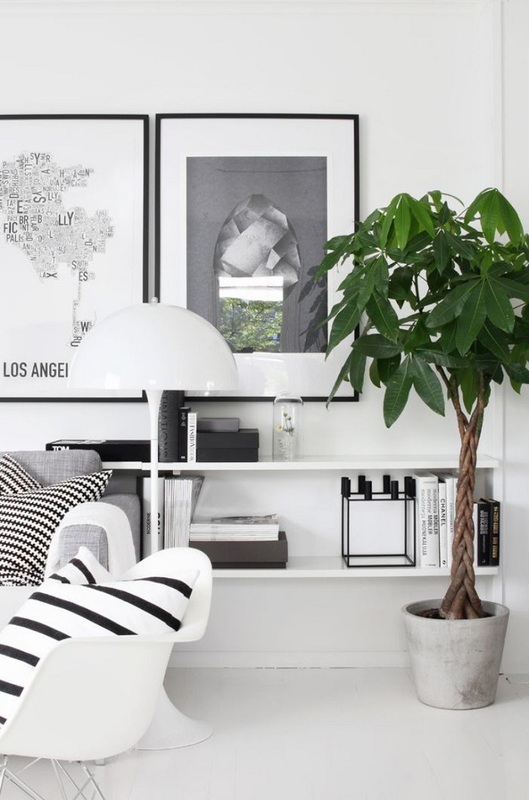 One of the best ways you can make a room livable is to bring something fresh and alive. Plants are always recommended, as they add such a nice feeling of being home. Plus, their green leaves and brown stem can stand out from the neutral colors and be the bold detail you need. There is a huge choice on indoor plants that you can purchase. Jade plant, aloe, ficus can serve you well, just to name few, but before buying, inform yourself more over which plants can be toxic for pets or if they aren’t kid – friendly. 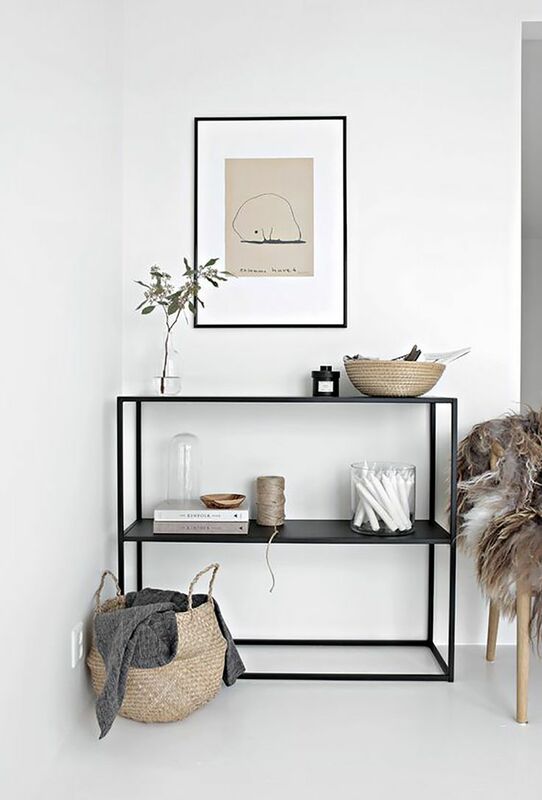 As we talked about Scandinavian design, it is impossible to not notice that the design is all about simplicity and one of the best way to make a simple interior is to declutter. You will never see a Scandinavian design interior full of decorations. Instead, it aims for few, carefully chosen and functional decorations, or if they’re not that functional, they are at least small and completely adapted to the whole design. Simplicity is something that everyone can achieve – just throw the things you don’t really need. Having a walk – in closet is almost impossible if you have tons of shirts and pants and shoes, but if you aim for a simpler way of organizing and keeping just the things you need, then walk – in closets are your solution. 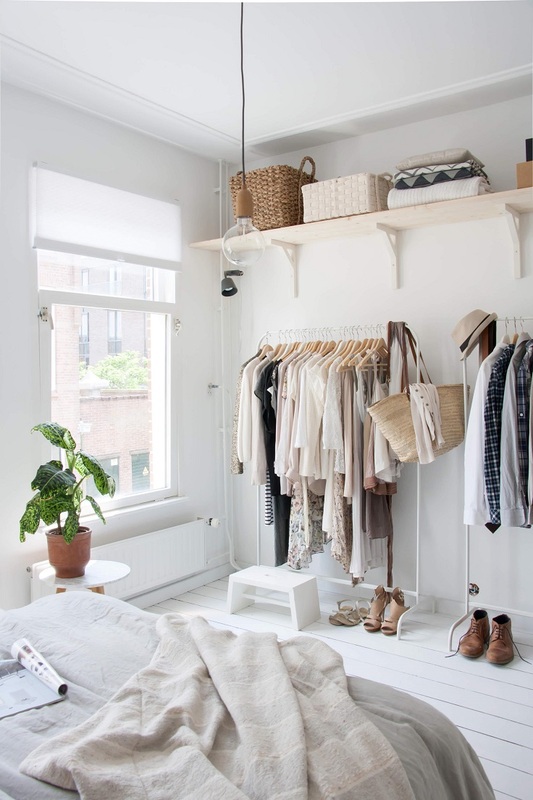 It’s very common for Scandinavian homes to have this kind of closets. They are practical and look really nice. They can also help you with your clothes – you can see right away what’s missing and what’s where it belongs to be! Scandinavian winters can get extremely cold, so it’s really important to have the right kind of heating. Many homes have fireplace located in the center of the room, so if you also live in place where winters include snow and cold weather, then you should definitely try out the fireplace is your solution. 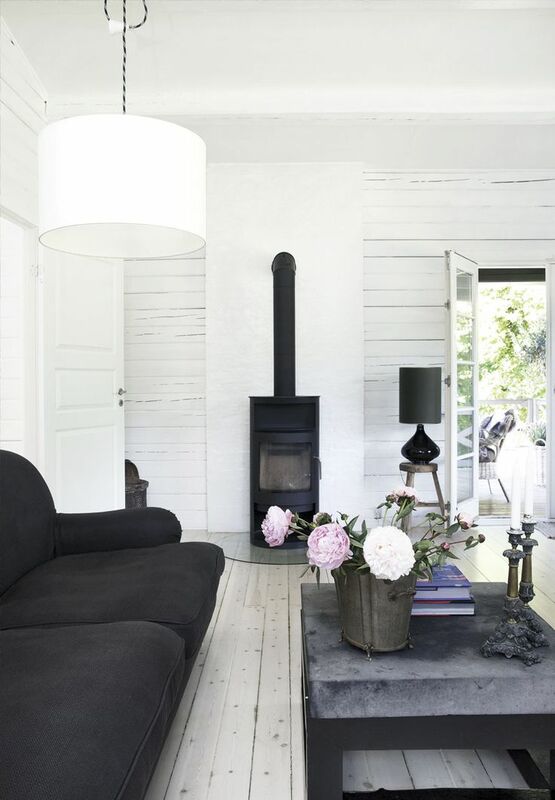 It’s very practical, and if you adjust it to the room’s interior, then you can say that even your fireplace is according to the rules of Scandinavian design!